If you are looking to improve the overall look of your home there is no easier way to do it than to replace your wood railing and outdated gates with beautifully hand crafted wrought iron. Our iron railing and gates are hand crafted by fire ensuring each piece is a unique piece of artwork that will do your home justice. 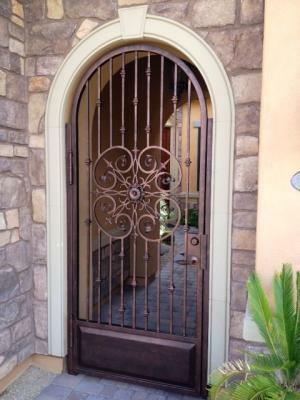 The team here at Signature Iron Doors specializes in custom designs to match the architecture of your home or the personality of your decor. All of our exterior railing is hot dipped galvanized making the railing durable and rust resistant maintaining elegance and beauty. Signature Iron doors provide quality iron products amtched with excellent customer service and we would love the opportunity to help you with any of you iron needs. We invite you to take a look at our website and contact us to see how we can help you transform you house into the home you have always wanted.